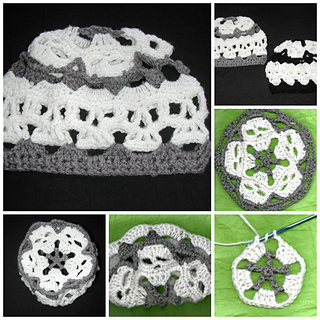 Creepy Skull Mandela Hat with an option to line. This hat is made from the top down. Two different skull patterns this time. A variation on my original creepy skulls worked in a round forms the crown. A row of new style skulls completes the hat. Sized from youth to large adult.Written in American crochet terms, with pictures of almost every row.